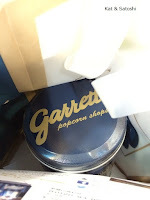 Saturday, I was walking past Hanshin Department Store's basement area and there was a rather long line...I looked at the sign that the lady at the very end of the line was holding and figured out it was for Garrett's Popcorn. Instead of immediately queuing up, I finished up my errand and went back...bummer they were sold out already, and it was only 30 minutes after the store opened! Then on Tuesday morning, I had an appointment, so after I was done, I went past Hanshin to see if I could get in the line. They were still giving out tokens to purchase the popcorn...so I waited for about 30 minutes. Everyone was limited to 1 can, 1240 yen. And they only sold 200 per day...There was a lady in front of me that had already queued once and was in line again to buy another can! The can was Garrett's quart-size. The caramel was darker than most of the other brands I've been trying...almost burnt in flavor. I'm glad I got to try this though, I hear the line in Tokyo is crazy! 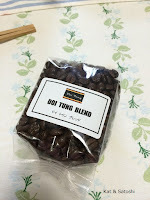 Doi Tung is a teeny shop hidden in a neighborhood near Osaka Castle. 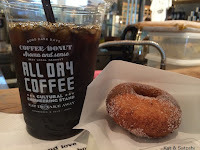 I love how there are many roasters and coffee shops tucked away in residential areas in Japan. 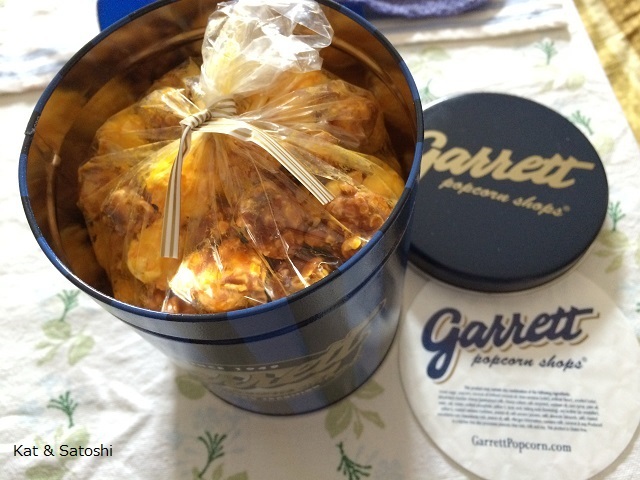 100 grams for 500 yen (tax included). This coffee seems to be a dark roast and has quite a bit of acid. 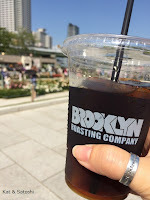 I tried it both ways and it seems to be better as an iced coffee (cold brewed). 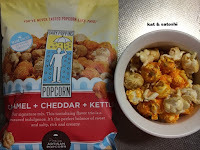 Dunno if I'd go back, but I'm glad I got to try them. 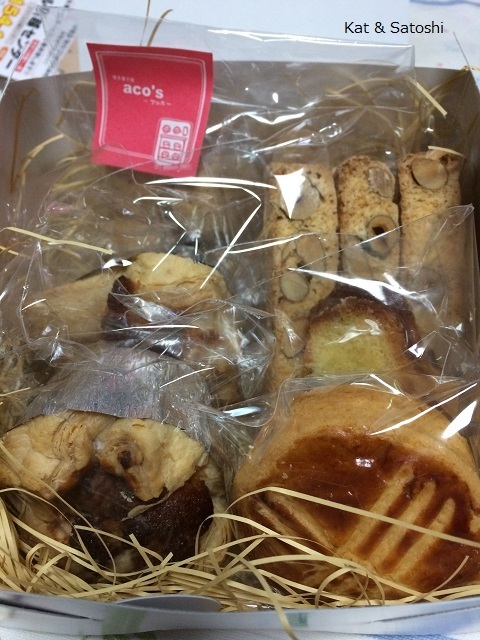 Aco's is an online bake shop. You order from them and they deliver it to you wrapped or to the person you want to give them to. In this particular box, there were 2 marron pies (flaky crusts and a whole chestnut), simple and delicious! 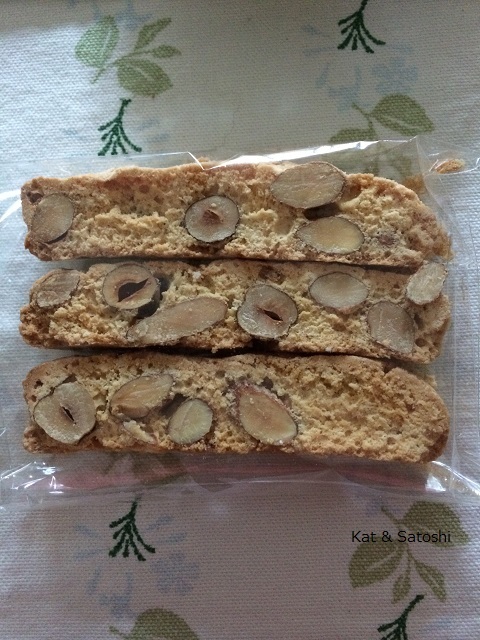 Biscotti...I liked how they used both almonds and hazelnuts. 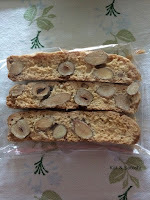 Kibi cookies...kibi (a type of brown sugar) is ground up with pecans, flour and butter...super crunchy cookie! 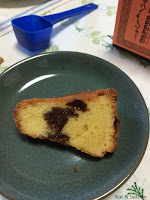 Fig Kugelhopf...a little boozy fig "bundt" type of cake. Everything was fresh and delicious...thank you! 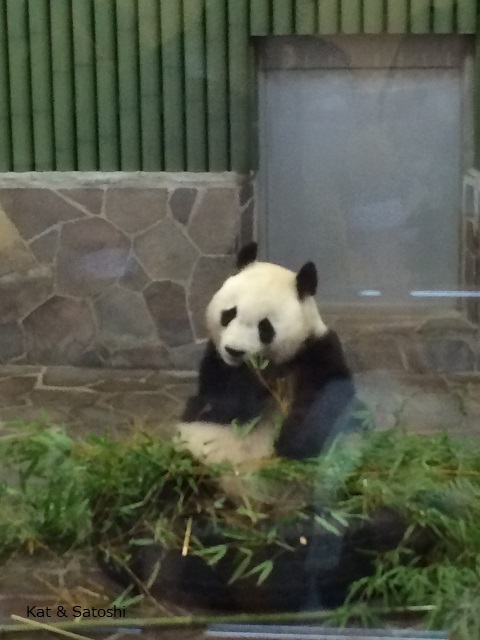 This past Sunday, we met up with Satoshi's friend and his son at Oji Zoo in Kobe. It had been ages since I had been here! 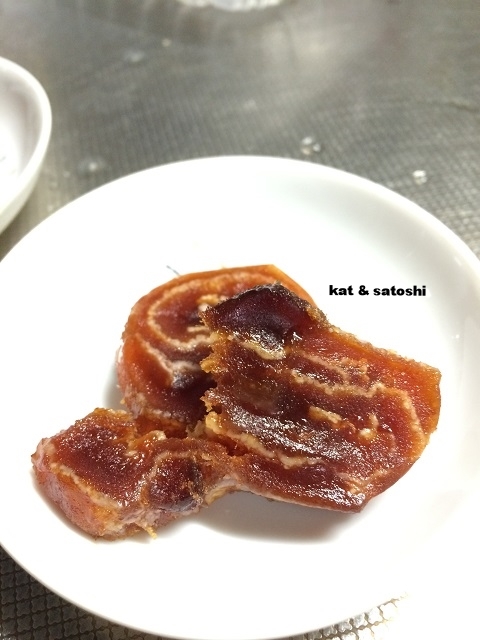 It was Satoshi's first time. 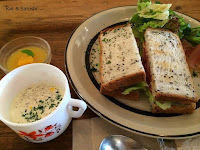 We started off by having lunch at a nearby cafe, Nim Cafe. Apparently, the place is usually packed, but we got there right when they opened so we were able to get a table. I had their BLT this also came with a vichyssoise, salad & tiny dessert (orange gelatin)...950 yen. 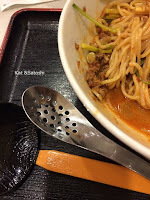 Satoshi had their daily pasta (clam and cabbage) and his friend had their omu-rice...900 yen each. 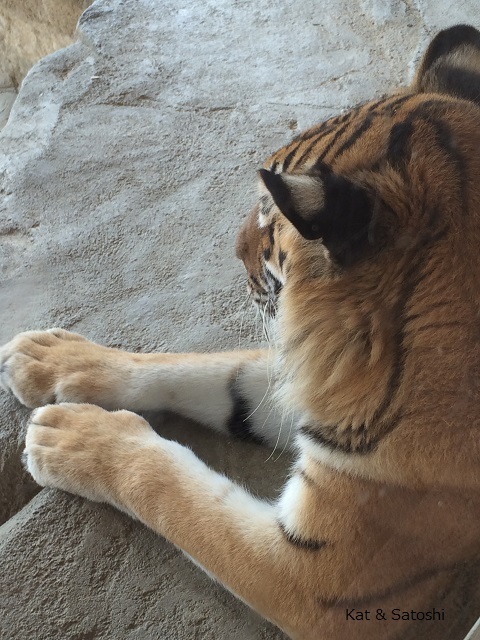 Since it was a Sunday, there were many people at the zoo and the neighboring areas. 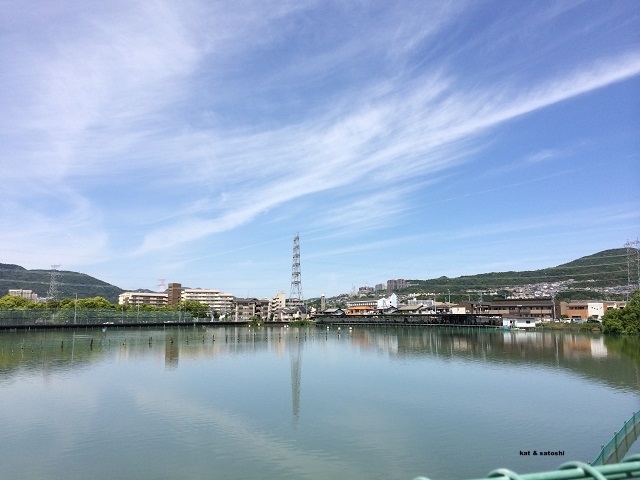 The weather was nice but hot! 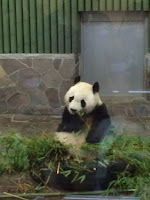 We got to see the zoo's panda. 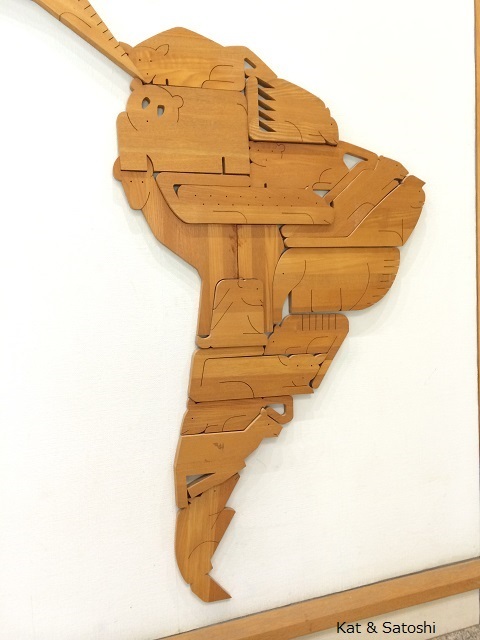 There was also an exhibit area with this mural of the world. 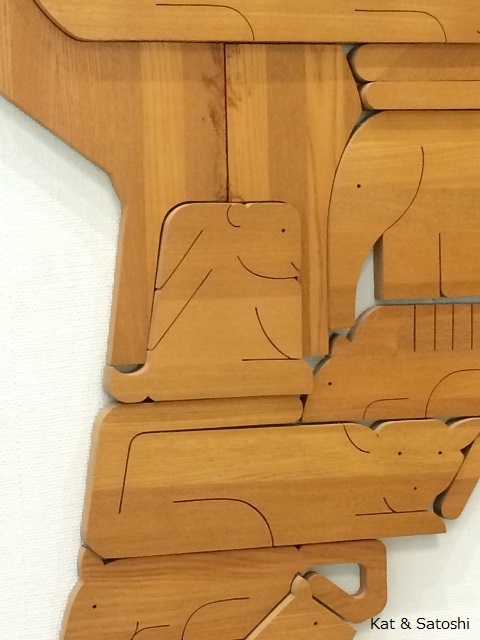 I liked how they used shapes of animals to make this, here's a closer look. 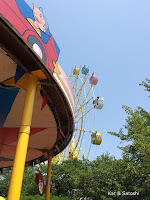 On the property is also an amusement park. There are many rides, and you need to purchase tickets before riding. It reminded me of the days when we used to have carnivals at a local park in Hawaii. The property is huge, but we managed to see a lot. 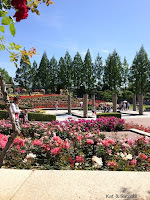 There are a lot of sakura (cherry) trees too, so this is a great place to visit when they are in bloom. We went to a nearby shopping arcade to re-fuel. 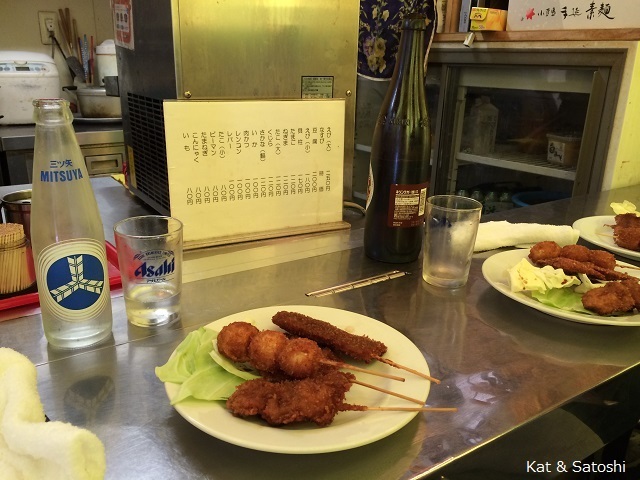 This tiny kushikatsu stand, Ittoen, was a nice place to have a snack. We had several sticks (quail egg, tako, shrimp, fish), the guys shared a beer, while I and the little guy had some soda...2130 yen. And then we walked through the rest of the shopping arcade. I came upon this cute bakery, Nico Neko-do. 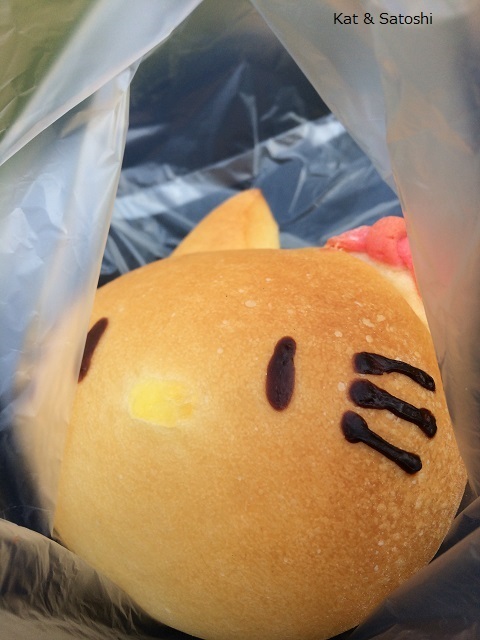 They make a cute (and delicious) Hello Kitty bread filled with custard...130 yen. 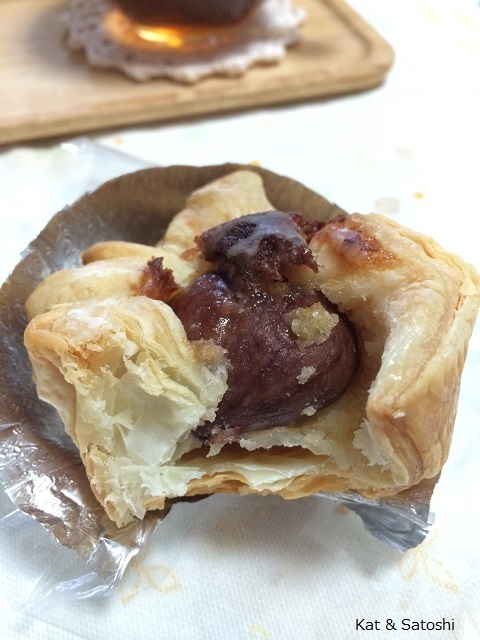 And this one filled with peanut cream. 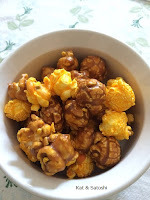 I was surprised at how sweet their peanut cream was (I think they mix peanut butter with frosting or something similar). 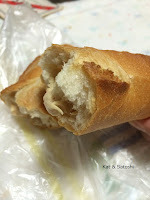 Slathered in a baguette this was delicious though. It was a long day, but we got to see a lot and eat a lot...thanks for a great day! 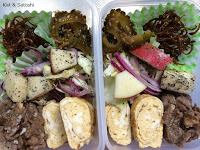 The other day, I made a batch of Ayun's Salad. Yup, watermelon is in the markets here...whoo! NOTES: this was good, I think I can up the chili paste up a little bit, but the flavors were nice. 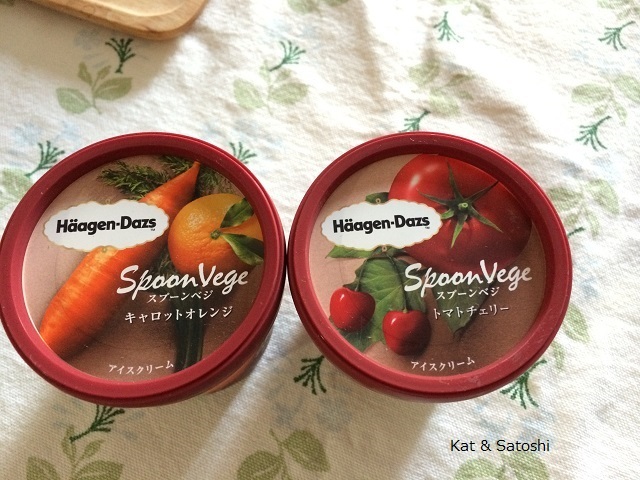 New from Haagen Dazs is Spoon Vege (spoon veggie)...orange & carrot ice cream, tomato & cherry ice cream. The orange is dominant in the one on the left and tomato pops in and out in the one on the right. The portions are a little smaller than their mini cups but it is very creamy. 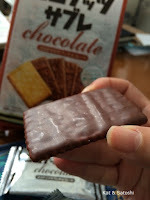 I'm glad I tried these. 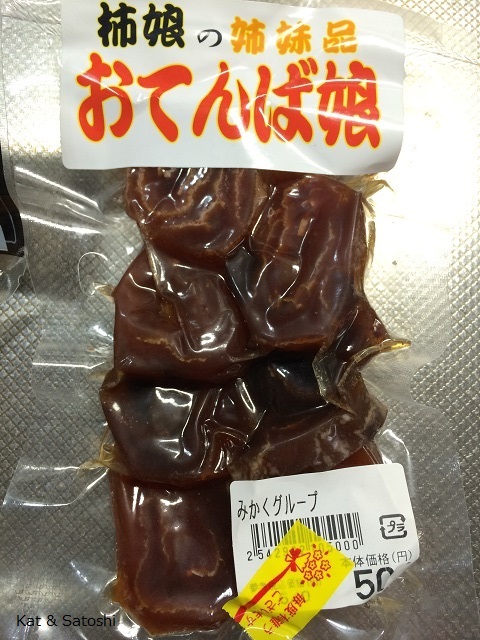 One thing that Toyama is known for is kaki (persimmon). The hillsides are filled with rows and rows of kaki trees. 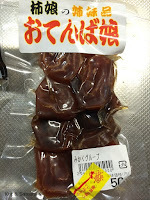 While waiting for one of our trains, I picked this up at one of the markets for us to try....Otenba Musume. In Japanese "otenba" means "tomboy", "musume" is "daughter". Not sure as to why it is named this. Dried kaki and yuzu...nothing really mind blowing, but I was happy to try this. 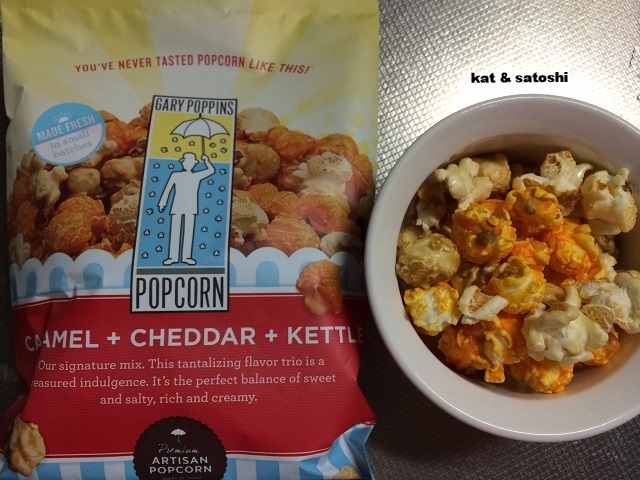 A great snack and nice with wine. 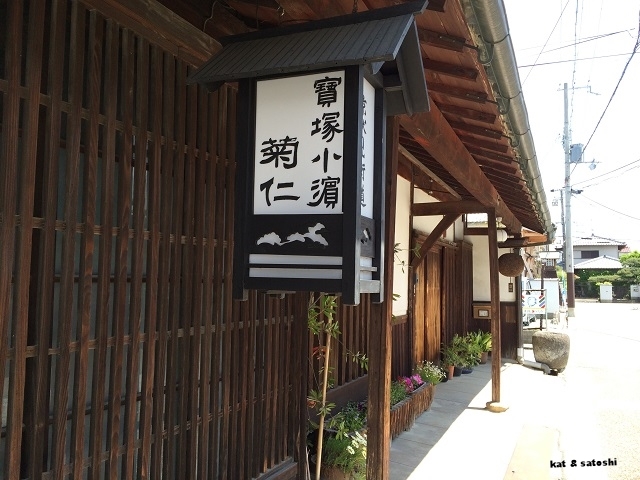 Last weekend, we had lunch at Hokkai-ramen Susukino. 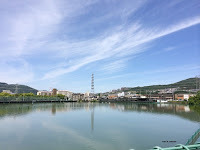 Susukino is actually an area in Sapporo, Hokkaido. I think this place is a chain though it was our first time eating here. I ordered the Hiyashi Tan Tan Men...800 yen. 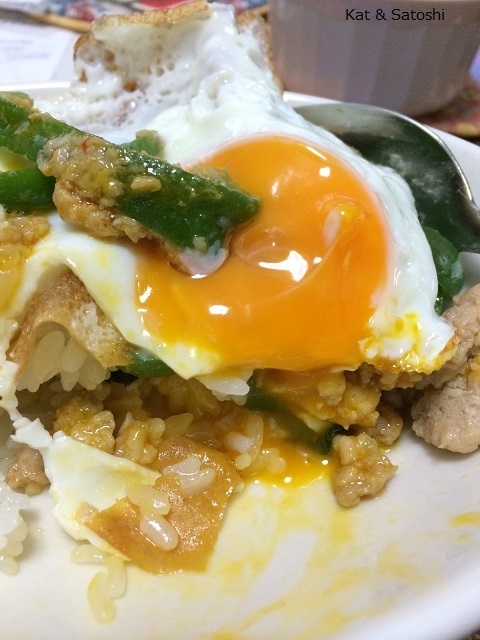 Cold & Spicy. Nice pull from the noodles. And to all the ramen places out there, you all need to get this gadget, so we can eat all the bits in our ramen, instead of having to fish it out with our chopsticks or drinking all the soup and then fishing it out. I enjoyed the first book so much that I was excited to find the second book while roaming the aisles of a book shop over the weekend. I'm glad I was able to get this one. 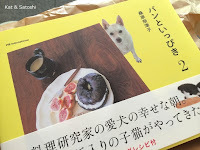 There are many recipes in this book as well. Cheddar, Caramel & Kettle...too bad they didn't have too much kettle corn in there. Still, I'm glad I got to try this...so good! 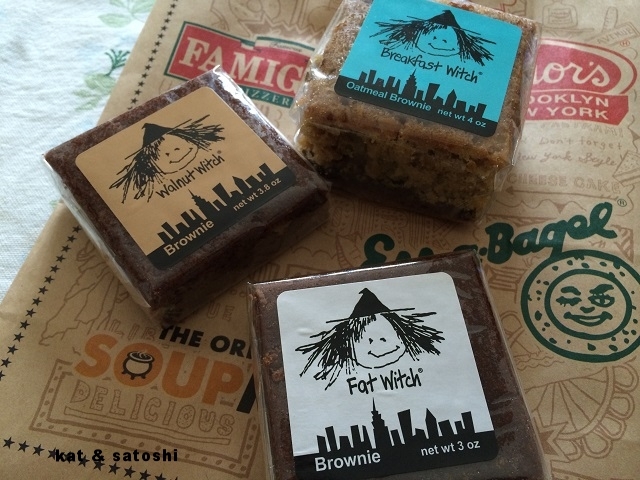 I've known about Fat Witch for some time now. I just haven't been able to get to New York to check them out. So I was thrilled that they were coming to me. A local department store had a New York Fair and was selling all sorts of foods and goods, including these. I tried their plain, walnut & breakfast brownies. For the 3, I paid 1652 yen, they definitely were not cheap. I think the price on Fat Witch's website calculates me paying 2 or 3 times?! 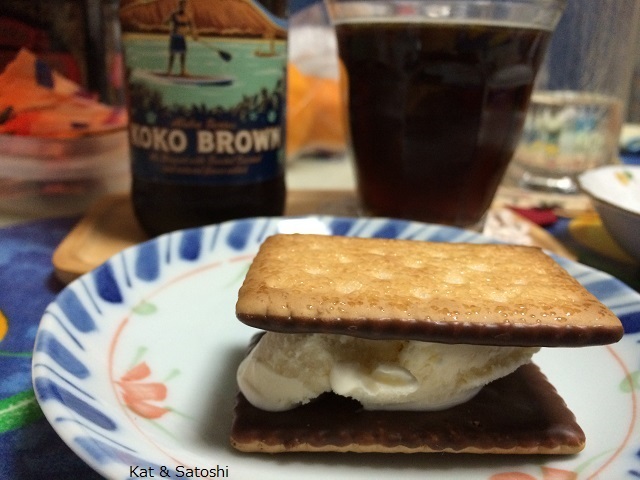 Satoshi and I shared the plain one on our picnic, and we also shared the breakfast brownie the other morning. I am glad I got to try these and especially liked the breakfast brownie, oatmeal walnut brownie on the top and a chocolate brownie on the bottom. We stumbled upon this floating driving range (it is to the right of that huge electric tower). We wondered how they pick up the balls, we saw some floating though. 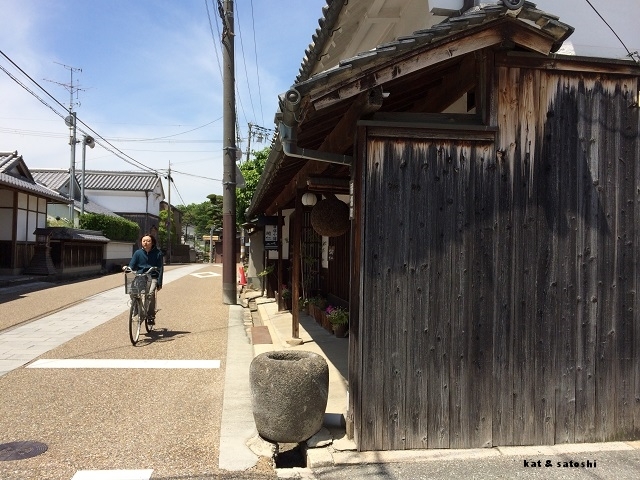 And then we ran into a little village called Kohama. 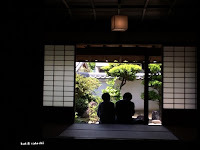 Apparently it has been around since the Edo Period (1603-1867) or maybe even before. 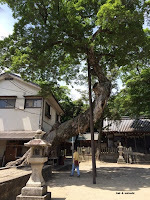 There are many temples and houses that are preserved. The photo above is a sake shop called Kikuhito from the early Edo period, I am not too sure if they still make sake. 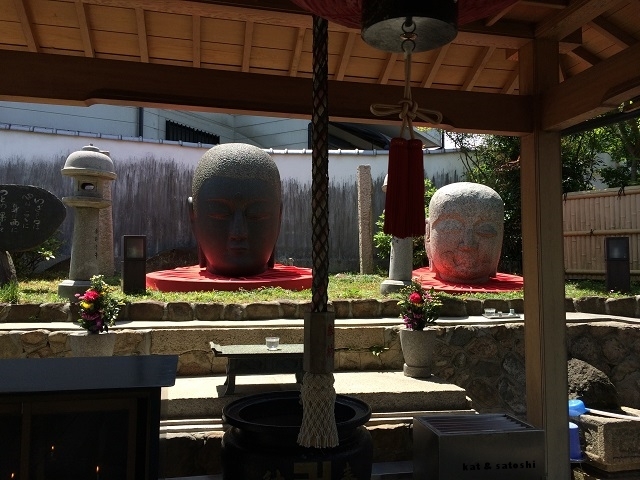 In the southern part of this village are these two jizo (guardian of weak) called "kubi jizo" (kubi means neck). Apparently these were found in the ocean. They tried to build a hut for it but the carpenters that were assigned kept dying from unknown illnesses. They figured the statues did not want to be housed, so they left these two out in the open. 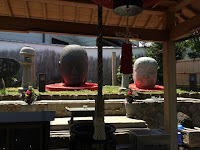 It is said that these jizo cure illnesses from the neck up. I was amazed at how many people came to pray while we were there. 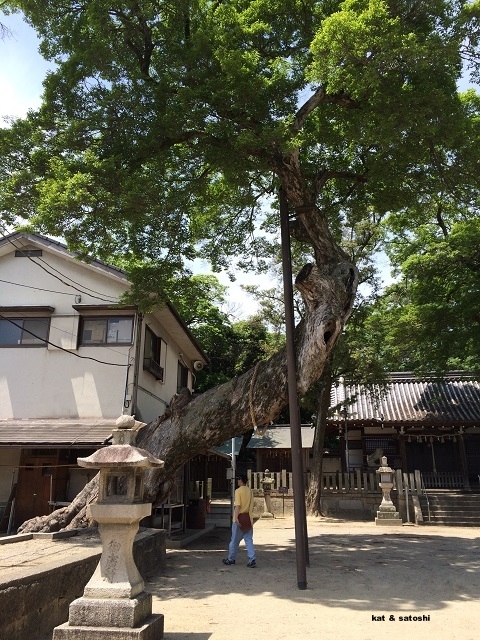 Huge tree at one of the temples. I was amazed how these two poles supported the huge trunk! 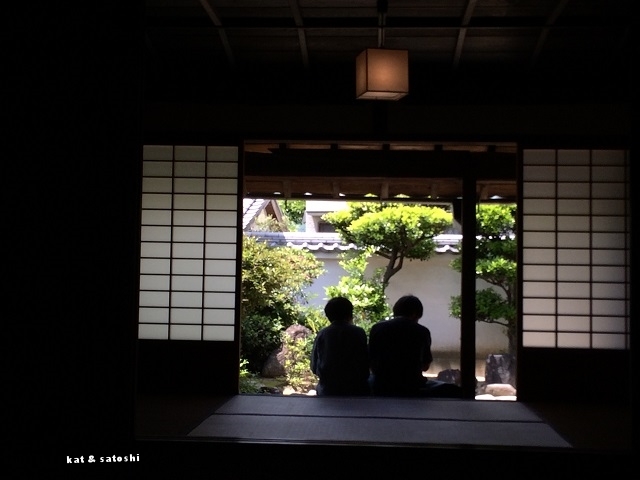 We also checked out the Wada home. Apparently this family owned most of the land in this area. And after the Great Hanshin Earthquake in 1995, they donated this house to the city. The city put in lots of money to have it restored, you can view the inside of the home as well as listen to volunteers talk about how life was in those days. The house is also used as a gathering place for the community. Saturday was a beautiful day. After Satoshi's German class, we grabbed some things for lunch and headed to Utsubo Park. There were tons of people as they were having their Rose Festa. 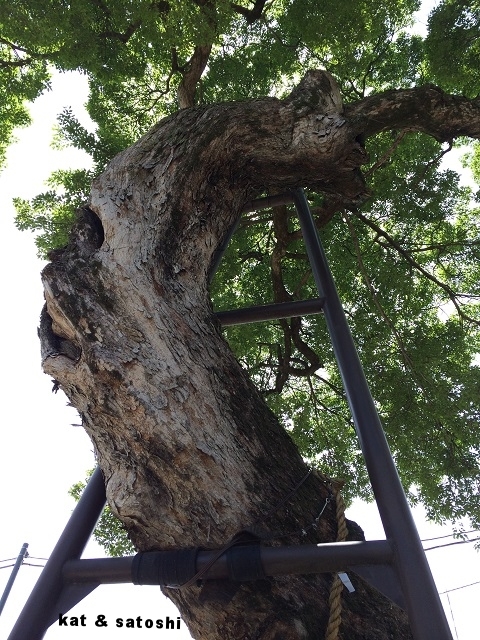 After eating and walking around the park, we headed towards Nakanoshima Park. 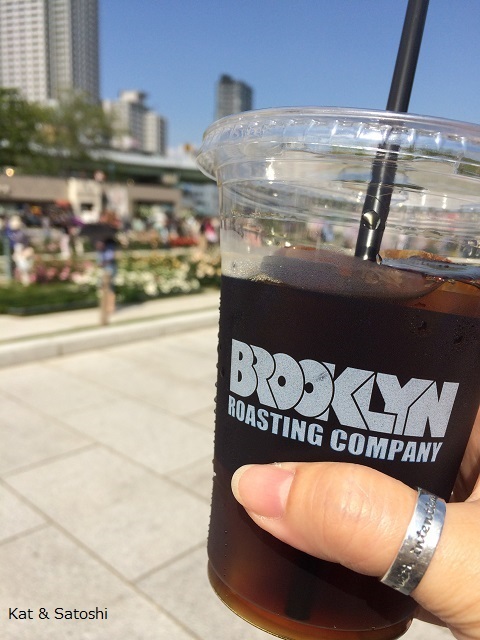 It's been so hot that I've been drinking iced coffee. 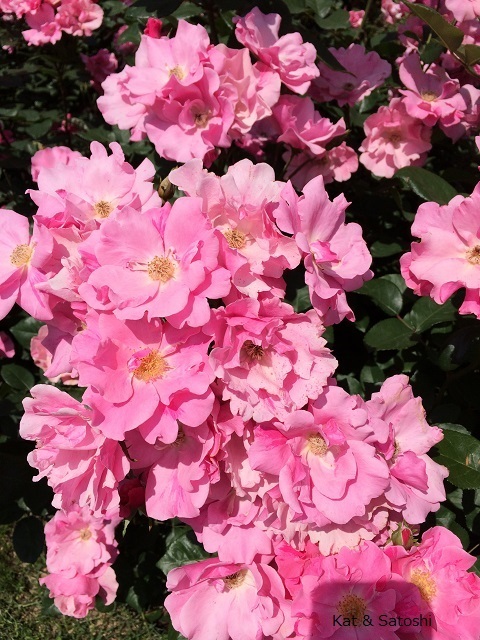 Nakanoshima's roses were beautiful and many people were out and about trying to get the best pictures. 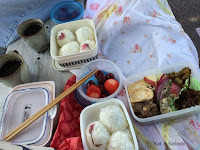 Sunday, I packed us some things for breakfast and we headed to our favorite park, Aramaki Rose Park. 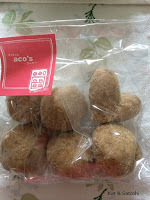 Besides the bento, we also had rice balls filled with aburamiso and some topped with preserved sakura (cherry blossoms). We also had some fruit (bing cherries, strawberries) and shared a brownie by Fat Witch (I'll post about this another time). 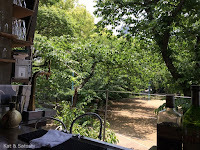 We walked to Takarazuka after this and found ourselves in a bit of a timeslip, I'll post about this too, soon! You may remember this version. Well, as I was perusing the aisles at the market I came upon these...chocolate coated coconut sablés. 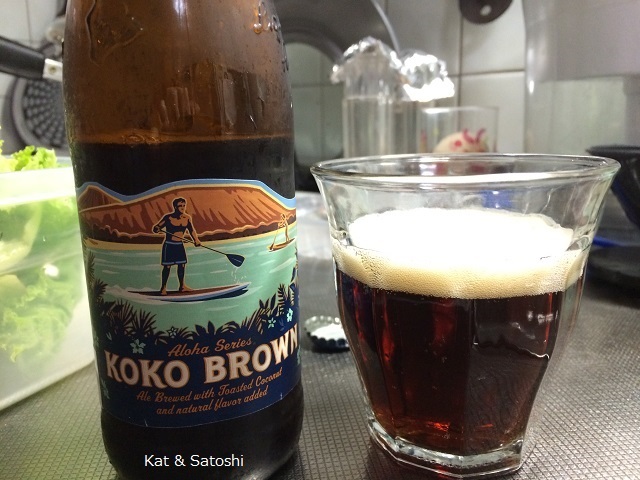 Paired with Kona Brewing's Koko Brown Ale--A brown ale that has hints of coconut and vanilla. 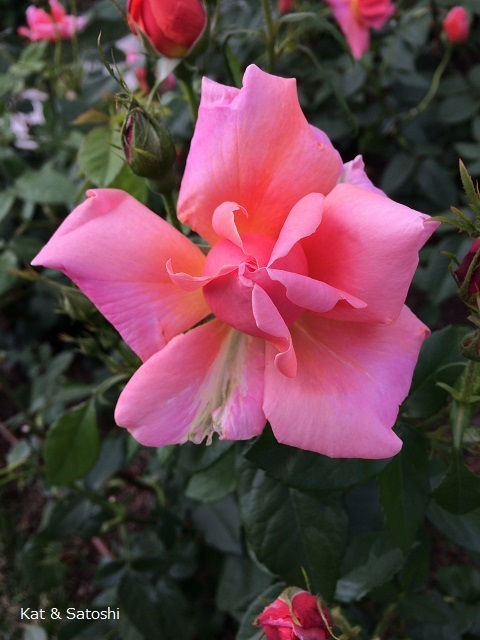 Life is good...have a nice week! Tuesday, I had lunch at Grove Cafe. It was a beautiful sunny day, I got to the cafe just before their opening time and there was already a line! 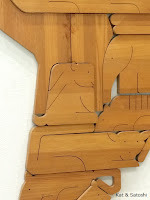 We were all soon seated. I chose a seat at their bar counter overlooking the park that is next door. 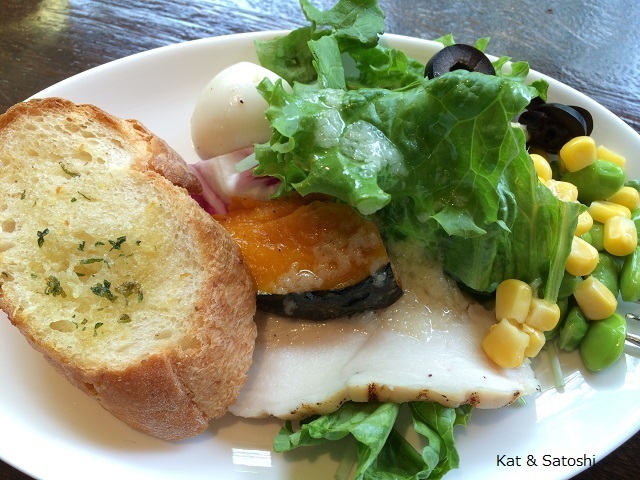 With lunch, you get all-you-can-eat salad and bread. Some people took one of each kind of bread and lots of salad, but this is what I chose...lettuce with edamame, corn, olives, roasted pumpkin, "ham" made from chicken and quail eggs seasoned with anchovies. The dressing I chose was a lemon onion dressing...really delicious! I also had a slice of their garlic bread. 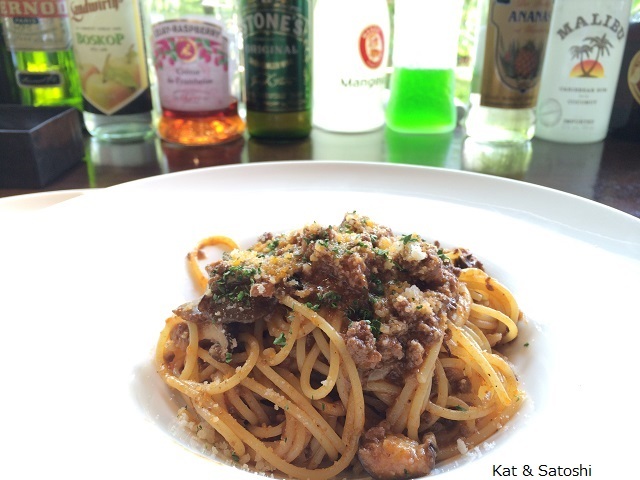 For my main dish I chose their eggplant meat sauce pasta. This was delicious too, lots of ground beef and diced up eggplant. 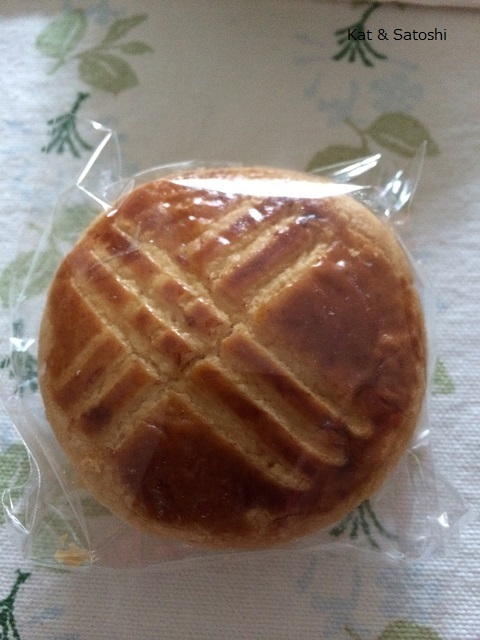 It doesn't look like a lot but was very filling. 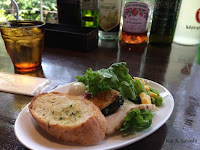 Also with lunch came a drink which I had a glass of grapefruit juice....1180 yen (tax included). There are other choices for lunch such as their daily fish or daily meat plates at different prices too. The cafe's atmosphere is so relaxing and they had jazz playing in the background. It is open-air, so I didn't get too peeved by all the smokers. I really enjoyed this place, I showed my pics to Satoshi and he wants to eat here, so we'll definitely be back. Check their website or call for days that they are closed or have private events. Last Saturday, our building had a fire alarm test. In all the time we've been living in this building, I've never heard the fire alarm. So it was a good chance to find out what our fire alarm sounds like. The junk part of this test was that we all had to be home between 9:00 and noon. They were gonna go to each apartment to test the fire sensors to see if they trigger the alarm. So while I waited for the the test, Satoshi went to his German class. The fire alarm tester guy came a little after 9:00 and was done by 9:30. Painless and now I know what the fire alarm sounds like. Since I was done early, I went to meet Satoshi for lunch after his German class. While I waited for him, I stopped into All Day Coffee for something sweet and their iced coffee. I like how they add orange peel to their doughnut batter. Lunch was at Aux Baccanales. 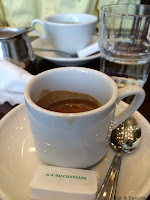 This place has a nice Paris cafe feel. 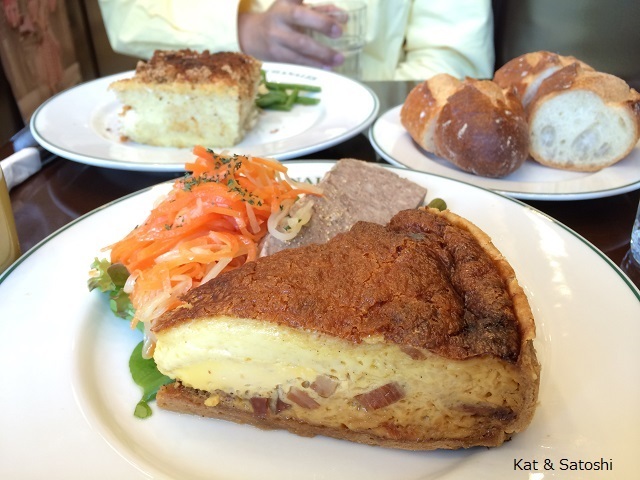 I ordered the daily quiche which was bacon & onion...1500 yen. This came with carrot salad and a slice of terrine de campagne. 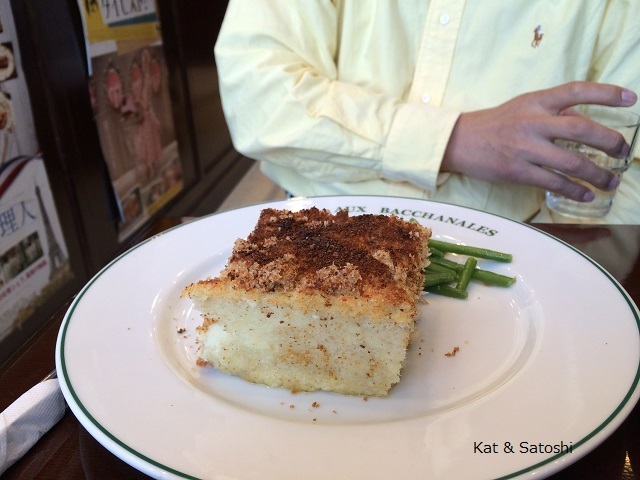 The quiche was HUGE, but I enjoyed this. The carrot salad was seasoned with a citrus dressing, kind of puckery. The terrine was delicious too especially with some dijon mustard. Fish mixed with potato and baked. He wasn't too impressed with this, I told him he should spread it on the baguette. He was still disappointed with this. 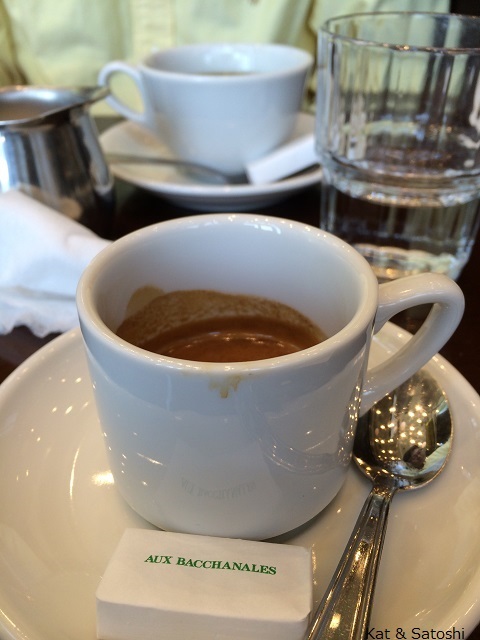 Lunch ended with an espresso for me and a regular coffee for Satoshi. 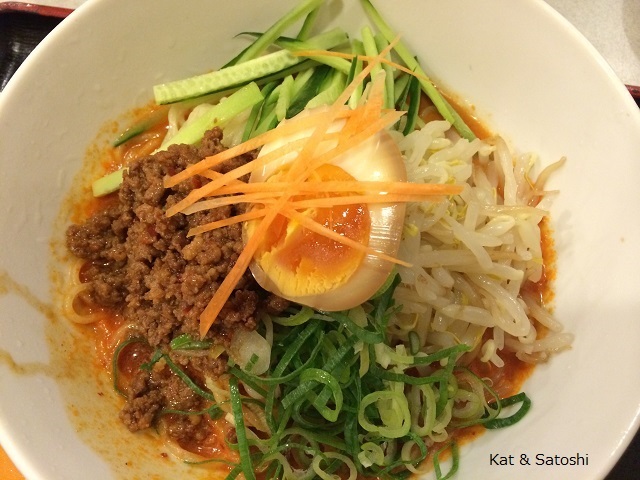 Even though Satoshi was bummed with his order, he wants to try other items on their menu...we'll be back.